Sometimes, you might get a dental crown, and everything is all good. Other times, you might end up feeling discomfort around a new or an established dental crown. Now, there are some things that you can do to alleviate this, but ultimately, it might require dental treatment. However, until you go in, here are a few reasons why it might be happening, and some of the ways to truly alleviate this issue so that it’s not a problem. So, what causes this? Well, it could be a few things. Sometimes, you might get a crown that was placed without having root canal therapy. So, what does this mean? Well, the nerve is traumatized, and this in turn can put pressure on the nerve, which will make it feel terrible. Teeth grinding is another thing that causes this. Some do this when they’re stressed, but this does put pressure on the areas where the crown is located, and it can be a lot of pressure. Previous fillings can also cause leakages that can cause infection in the neve of the tooth area. That is something that you should see the dentist about immediately, since often those fillings are made of mercury, which is toxic to the body. Now, the first thing that you should do is determine whether or not you grind your teeth. If your jaw is tight and painful when you wake up, have pain that lasts a while, notice that your face is swelling from time to time, or if you notice that you grind your teeth in your sleep, then that’s a symptom that you grind your teeth. The best thing to do in that circumstance, is to buy a mouth guard. It doesn’t have to be a specialized one, except in the extreme circumstances where you grind a whole lot, but most of the time, if you have something, it can help with this. If you do have stress, you should take some medication, or put a warm, moist cloth on your cheeks to help relax your jaw. Finally, make sure that you’re taking care of your smile with brushing and flossing each day, which can help with the crown. Now, when should you see the dentist? Obviously, if your crown is aching pretty badly and continues to despite all of this, then it’s time to go in. You should talk to your dentist about problems, bruxism that might be there, and anything related to this, so that you can get the proper diagnosis that best fits you. So how will the dentist fix this? first, they’ll check the bite by having you bite down on there. It will reveal any high spots that are causing this. If they are discovered in any sort of way, they will need to be filed down in order to help with treating this. If there is an infection that’s causing problems there, the dentist will have to do a root canal to best treat this. The crown will need to be removed, and the filling that is there will be taken out, along with most of the tooth, and then, the infection will be cleaned and removed from this, which in turn will help you with better treating this sort of thing. With something like this, it’s best to go see the dentist if you notice the pain either getting worse, or if it continues on for a long time. You owe it to yourself to take care of your oral health, and you can do so by seeing your dentist and making sure that your crowns are put on the right and that they’re treated. Crown pain is no joke, and sometimes this can be quite severe. But, sometimes underlying problems start to rise up, and because of that, it can make a huge difference in your overall oral health and wellness. So, take the time to ensure that you’ve got your oral health in check, and make sure that you’re properly taking care of yourself so that if there are any problems there, you can rightfully and without any other issues take care of it before it gets any worse for you as well too. Keeping a healthy body is not as simple as it used to be. Even if you keep a good oral hygiene by brushing and flossing regularly you still can be vulnerable to bacteria and toxins which we are exposed to everyday. However it is recommended to avoid chemicals and unnecessary chemicals and synthetic products that may harm you even more. We are already exposed to a lot of synthetic and toxic material everyday, therefore, we should try and use biocompatible materials and non-toxic remedies for curing our oral cavity ailments. We should try and eliminate the risk of mercury poisoning and risk of fluoride-related disorders. Liquid mercury was used as filling / dental amalgam for years but it has been declared extremely dangerous for health therefore its use has now been restricted. It was found that patients having silver filings were susceptible to disorders and chronic illnesses. Those who already had silver filings are trying to get them removed and resort to natural non-toxic alternatives. Removing mercury filing is very tricky and dangerous therefore it is recommended to consult a renowned dentist you can trust to perform the procedure to avoid unnecessary exposure to mercury vapor and hence avoid complications that could arise from its exposure to human body. Different sorts of oils have been used for healing for centuries. As the oils are natural therefore they usually don’t have any side effects apart from those that may be due to certain allergies to certain individuals. Recently some practitioners have rediscovered some of the old practices that may be used for improving oral health. Oil can be used to detoxify the body specially the gums and teeth. Oil pulling is safe, inexpensive and natural way to remove bacteria hence reduce risk of oral, infection, tooth decay and development of gum diseases. Usually coconut oil or sesame oil is used to perform oil pulling. Pour 1-2 table spoon of sesame or coconut oil in your mouth and keep it in for a few minutes for it to melt down and cover your gums. Move the oil across all gums and teeth for 20 minutes. Spit the oil and saliva in your mouth in to a garbage can / disposable container as spiting it in sink may cause blockage. Remove the remaining oil in your mouth using warm water and spiting it in the garbage can / disposable container. Brush your teeth and don’t forget to floss. Preventing cavities and reducing plaque: Having pale yellow teeth due to plaque is not something anyone would want similarly no one likes cavities. Using a tongue scraper reduces the levels of plaque and cavities in the mouth. Reducing bad breath: A clean tongue means there are no volatile sulfur compounds (VSC) which cause bad breath. Hence tongue scrapers help you avoid bad breath. Increasing cardiovascular and respiratory health: If anyone in your social circle has had heart bypass you could he would tell you that before the bypass doctors asked for his/her dEntist approval for the surgery. Research has revealed that there is a strong connection between oral health condition, heart diseases and respiratory infections. Therefore maintaining a clean tongue helps us avoid dental problems hence the risks associated to heart and respiratory diseases. Now, many of us don’t even realize how important our spit is. If you don’t have spit, you actually have something called xerostomia, which is often called dry mouth. Saliva is very important, and it’s a crucial part of keeping a mouth clean and healthy, since it will remove the food particles that are there, which will often lead to bacteria growth in a person. If you don’t have enough saliva, it will cause bacteria to flourish, and this not only causes bad breath, but a slew of other health problems as well, such as tooth decay, infection, and even loss of a tooth, which isn’t good for you. Dry mouth is caused by internal, but also external factors as well, such as your salivary glands not working right, and also dry mouth being caused by prescriptions as well. Some prescriptions cause this, including ones for blood pressure, pain, and allergies. Radiation and chemotherapy also cause dry mouth too, and it’s one of the common side effects. Now, there are many ways to fix this. If it’s caused by a glandular issue, or even a medication issue, you can talk to your doctor and either get a medication to alleviate these issues, or even just get onto a different medication that can help change your mouth state. Now, there are also lifestyle choices that you should be considering as well, and here are just a few to keep in mind. The first, is to sip water and drinks that don’t contain sugar, especially during meals. Try to make sure that you get enough water for best results. When it comes to what you shouldn’t be drinking, avoid the ones that are sugary, or have acids in them, such as sodas or alcohol, since both of these cause problems. If you need to produce more saliva, try chewing some sugarless gum. Don’t have the stuff that contains sugar, since often this actually dries out the mouth more, and gives the bacteria in your mouth something to eat. If you do use tobacco or smoke, start to not use it. this dries out the mouth super fast, and if you have a lot of this, this will in turn cause your mouth further problems, and it could lead to cancers as well. When it comes to alcohol, try to avoid it, or have water around you during consumption. This is actually good for you period, since alcohol dries out the mouth pretty quickly, and you would be surprised at how easily this happens. Also, look at the mouthwash you’re using too, and try to straw away from mouthwashes that contain alcohol, since it will in turn cause your mouth to further dry out. If you do love salty and spicy foods, start to limit your intake of this. Yes, spicy food is actually pretty good for you, but the problem is, if your mouth is already pretty dry, this can cause problems, so watch out for this. At night, if you need to, use a humidifier. Dry rooms often are a huge cause of this problem, so if you use a humidifier, you’ll be able to help circulate the air, and get more moisture into there, along with not drying out the room. Finally, breathe through your nose and not your mouth. This is harder than you’d think, but it’s totally possible for a person to do. If you follow these steps, along with brushing and flossing, and seeing your denTIst, you can kill bad breath, leaving it as nothing in its tracks. These lifestyle changes might be a lot, but if you do maintain this, you’ll be able to truly garner success with it, and you’ll be able to do a whole lot. This article discussed bad breath. We all have it at some point of our lives, and it’s important to notice it. It can be embarrassing, and rough for a person to take care of, but dry mouth and making sure that your mouth is full of saliva can be super helpful for you, since it actually prevents tooth decay from happening, and it can keep your teeth looking nice and healthy too. Many times, when a person goes to see the dentist, there are a few questions that they might have. If you’re not going to see them right away, there are still a few questions that you might have for them. This article will discuss what the top questions are, and what the answers are. Now you might ask your dentist how often you need to visit them. The good rule of thumb is that you go every six months for preventative checkups and cleaning. You might need to go a bit more based on any sorts of dental issues and any pain. Make sure that if you do have any sorts of concerns, you talk to your dentist about this as well. You might have a question about tooth sensitivity and what it is. In essence, it happens when the enamel becomes thinner and recedes. It’s also a sign of gum disease and tooth decay, so see your dentist about it. If you do experience this, talk to your dentist. It can sometimes be triggered by hot, sweet, cold, or even acidic foods. Even breathing can cause this problem on the teeth. The best thing to do in this sort of situation, is to avoid the foods that are super acidic. This puts the enamel in danger, and it is irreversible and it can contribute to teeth sensitivity. To prevent this sort of thing, limit your red wine, acidic fruit, and soda exposure, and wait at least 20 mins before you brush your teeth. Any sooner can damage the enamel. You should also watch how you brush. Sometimes the way you brush or the type of toothbrush that you have makes it much harder on your teeth. If you do need to look into your brushing, get one that is a soft-bristled toothbrush and make sure that you’re not scrubbing too hard on the teeth, spending at last two minutes brushing as well. It makes a huge difference on the state of your teeth. You might also wonder how to get rid of bad breath. This is another common question, and you should definitely make sure that you consider some ways to fix it. It happens to a third of people, and it definitely can affect your confidence. You should definitely keep these tips in mind, along with some other simple, useful means to help prevent bad breath. First, you should obviously brush and floss your teeth. If you don’t, that gives food particles free reign to move into there, building up plaque. When you have lots of plaque, you will have bad breath, so limiting that will limit your bad breath. Brush two times a day for at least a couple of minutes flossing after every meal, and it’ll help make your ability to quell this sort of situation much easier as well. You also might want to consider using a tongue scraper, since often, you might see that your tongue is white from the buildup of bacteria and debris that sits there. Get a tongue scraper and go from back to front, scraping all of this off. You should clean the top and side of the tongue, not just the middle part. You should also be very gentle with this as well. Finally, drink a lot of water. Often, if you have bad breath, you’re not producing enough saliva, which actually prevents the bacteria from forming. A lack of moisture is why people have morning breath in fact. You should stay dehydrated throughout the day, including when you wake up. Now, if you still have it despite all of this, go see your dentist. These are often some common tools that you can use in order to prevent tooth issues. These are often major problems, and for many, it’s quite hard to understand what to do with them unless you’re visiting your dentist. But of course, once you have all of this settled in, making sure that you do take your time and put together the best mouth that you can have, your dentist will definitely thank you for this, and they will encourage even more preventative care too. Most of the time, if you go in and are told that you have gingivitis, you might wonder what to do about it. Typically though, you can rectify the situation by having a more rigid form of home cleaning, and regular office cleanings. However, in many cases, if it’s not taken care of, it can cause periodontitis, which is a stronger form of inflammation, and often, most people don’t realize just how significant it can be to your oral health. If you don’t take care of it when it’s in the gingivitis stage, it develops into it, and it can significantly damage the oral cavity as well. So what are the different types of gum disease? Well, they are as follows. The first one is the one that’s directly related to bacteria. In our mouths, we have a lot of bacteria, and a lot of mucus. If you don’t take the time to clean it, it can create plaque that will cause tartar to form. Typically, this will build up on the surface of your teeth, inflaming the gums. If your gums tend to bleed easily, or they become swollen and red, it could be a sign of gingivitis. Now, if you start to get periodontitis, that is essentially a much stronger form of this, and it’s when you don’t take the time to get rid of the gingivitis that’s causing problems on the mouth. The pockets will start to form between the teeth, and it’ll get infected, and the body will start to break down the bone and connective tissue. If it continues on, it can affect the bones, tissues, and the gums, and it will cause teeth to come loose. This isn’t fun at all, and for many people, it can certainly cause a lot of trouble if not taken care of. So, you certainly need to take care of it, but you should know how to do this. The first thing is to go into the dentist for cleaning and upkeep, and they will tell you right there the first step to reversing this in a person. Typically, if you smoke, have diabetes, cancer, or have prescription medications, these will put you at a much higher risk. Unfortunately, genetics is also another huge risk factor as well. Typically, it doesn’t really show up until about 30-40, and it shows up in more men than women, but it is starting to show up a lot sooner now than it did before. Typically, you can rectify this by cleaning, controlling the infection with deeper cleanings and quitting smoking, and you might end up needing a deep cleaning to get the tartar from below the gum line. Typically, if it still persists, you need more advanced therapies. You might get one that’s called perio protect, and if you do this with brushing, flossing, and rinsing, it can definitely help reverse this. Because the bacteria does develop along the gum line and there are natural spaces between the teeth and gums, the perio protect will supply the agents to kill the bacteria from the very source, and it will take the measures necessary to help you. Now, if you don’t have it, that doesn’t mean you don’t go in. you should definitely go in to get the biofilm from the pockets and the teeth, and often, impressions are taken as well if you do need a much more involved form of treatment too. The best thing to do in this case, is to get the help that you do need, and take the measures necessary to help fix this sort of thing within you. doing it now will prevent it from getting worse later on. So yes, if you do have gum disease, you need to go in and get rid of it right away. If you’re young and have it, this can negatively impact the rest of your life, and make things so much worse, so it’s up to you to get the help that you do need, and the assistance that you can trust in order to stop gum disease in its tracks, and before it ends up getting worse for you in the future as well. Often, many people consult whitening toothpaste for natural whitening. While a trip to a dentist is important, often the time in between is quite a bit, and some use whitening toothpastes to help improve the nature of their teeth? But how helpful are they? Well, this article will go over the results of whitening toothpaste, and if it’s worth it. Now, one thing to know is that whitening toothpaste is effective for helping with stains on the surface. However, they can’t change the tooth color. Those that have stains from various foods they consume, or cigarettes, you can use whitening toothpaste to help with this. However, if the discoloration that is deeper than that, there are other products that can help with this. If you know the active ingredients, it’ll help you with your needs. Now, whitening toothpaste is great for those daily stains that come from yellowing beverages or other habits. This can help you with any discoloration before it becomes permanent. However, you need to use this on average for about two weeks to a month before you start to see a result from this. If you want a whiter appearance immediately, there is an optical illusion you can use thought. If so, you want to find a whitening toothpaste that contains something called covarine. This is a chemical that lowers the yellowing appearance on the tooth. This creates an immediately perceptible whitening of your tooth. You should use the covarine with other tooth whitening means in order to really achieve the best results with this. There are some various whitening products that you can use along with toothpaste. If you’re going to use toothpaste, you should use it regularly at least twice a day for about 2-6 weeks. However, for best results, you should combine that with other products as well. 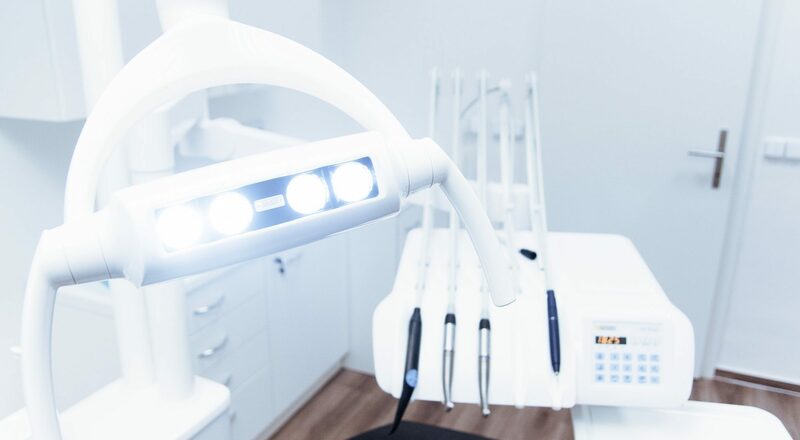 If you use products that don’t contain covarine, you can still get some impressive results from this, but it’s important to note that if you are choosing to whiten your teeth, you might not see the results immediately. Whitening toothpastes achieve a bigger and more lasting result though, and if you combine it with some abrasives, you’ll be able to polish your teeth and help break down chemical stains as well. You can use some abrasives in whitening toothpastes, and they are the following: magnesium carbonate, calcium carbonate, and hydrated aluminum oxide. Now these toothpastes can have hydrogen peroxide and carbamide peroxide, and together this can help with teeth whitening. It’s important to also note that carbamide peroxide does work faster, but the ingredients can altogether change your teeth color in as little as two weeks. One thing however that you must learn is that while a white smile is what everyone achieves, there are so many products to consider and there are a few precautions that you should be looking for. Tooth health is not just a pretty smile, but it’s so much more than that. this section will go over a few considerations to have when you’re looking for products. When you’re doing this, you should always look for products that have the ADA seal of acceptance on their product. What this means is that they’ve been heavily evaluated allowing you to see the safety and the effectiveness of this. Now, the participation on this is indeed voluntary, but it does show you how a manufacturer is committed to quality when this is done. It’s important that if you want something with proven quality, you do keep this in mind as well. However, while there are some products that are safer with the seal of approval, it’s important to note that every single bleaching product has some risk attached to it. often, the most common issue is that there is irritation of the gums, and often it can make a tooth sensitive. If you are using toothpastes that use abrasives for results, while it can get rid of surface stains, it can ruin tooth enamel. If an enamel wears away, there is discolored dentin underneath. You should make sure that if you are going to use whiter teeth, you’re going to potentially end up with worse stains if you’re not careful. There are also tooth bleaches that are different from whitening toothpastes. While some toothpastes do have a bleaching ingredient, it is washed away quickly. However, bleaches do stay in contact for a period with teeth, often with a whitening strip or a tray. If you want to get more surface stains off and even help with the overall color, a tooth bleaching product or kit does so much more than a toothpaste. Often these are regular applications that are done for about 2-4 weeks. Dentist does recommend the best way to help with tooth whitening is to speak to a dentist about professional products. These have a higher level of bleach, and it does get you a noticeable result. Often, this has a much higher concentration of hydrogen peroxide and carbamide peroxide. Often, there is a protective gel used to help with gum irritation, especially since this is a strong treatment. They are much quicker than alternatives, and it happens within an hour, unlike other options that take sometimes weeks of constant applications. If you’re looking to immediately have whiter teeth try whitening toothpastes, but you can get deeper with these types of treatments. These various whitening options are all there for you to choose from, and you’ll soon be able to really have a great smile. Don’t let your smile get in the way of you living your life, and start doing that by considering a whitening alternative and using it. you may not realize just what you’re doing until you’re done, but you will see very noticeable results, and you’ll soon be able to have a great and amazing smile that you’ll want to show off whenever possible.